Sustainability advocates from across DFW gathered at UTA for the kick-off of the Regional Center of Expertise North Texas. Photos by Sharon Ellman. A new North Texas sustainability coalition made it official by gathering for its first group photo on Thursday at the University of Texas at Arlington. Around 60 sustainability advocates from across DFW came out for the official launch of the Regional Center of Expertise North Texas. The education center for sustainable development is based on a United Nations program, designed to bring together regional sustainability experts to reinforce common goals and share best practices. 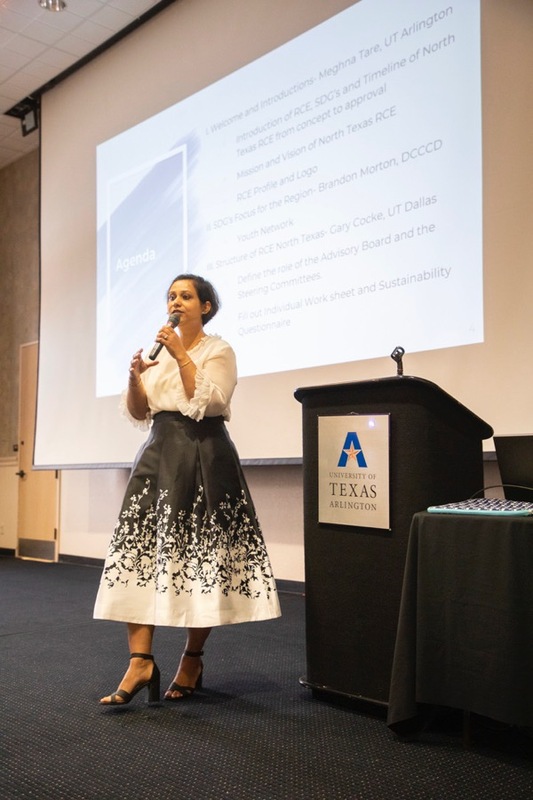 Meghna Tare, Chief Sustainability Officer at UTA, is spearheading RCE North Texas. There are 168 Regional Centers worldwide - seven are in the United States. The RCE North Texas was approved Feb. 14, by United Nations University, the academic and research arm of the United Nations, which oversees the international network. At the Thursday meeting, Tare and co-coordinator Gary Cocke from the University of Texas at Dallas, gave an overview of the program and how the group will develop in the coming months. The RCE will focus on three of the UN’s Sustainable Development Goals - education, health and sustainable communities - picked at last year’s brainstorming sessions. Tare and Cocke will serve as points of contact for the group. An advisory board will also be put in place. Research and Development will encompass research projects, curriculum development, fellowships and scholarships. Governance and Monitoring will oversee data collection, reporting and evaluation, strategic planning, bylaws. Outreach and Communications will oversee organization branding, maintain a contact list and stakeholder map, as well as curate content for website, newsletter and social media. Education and Events will organize RCE events. develop awards, scholarships and an annual summit. Youth Network is another committee aimed at youth programs. 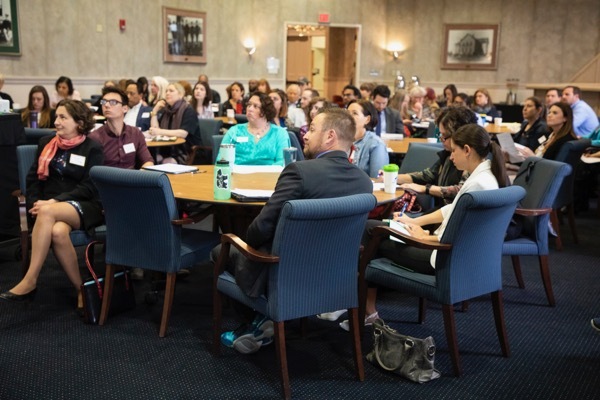 Sustainability advocates from every sector of the community attended the kick-off. Tare said she hopes to get committees established and have them working on action items before the next quarterly meeting in the summer. However, she stressed that the network is meant to help sustainability advocates not force any kind of curriculum or create extra work. She pointed out that many institutions like city of Plano and Dallas County Community College District already have robust sustainability programs.